Good morning let’s start the day with one of my favourite kind of tea. I love tea. Especially Indian tea. I have mentioned this before that English tea is not quite the same as Indian tea. I think that this is probably because it has more spices in it just like any Indian food, to tell you the truth. 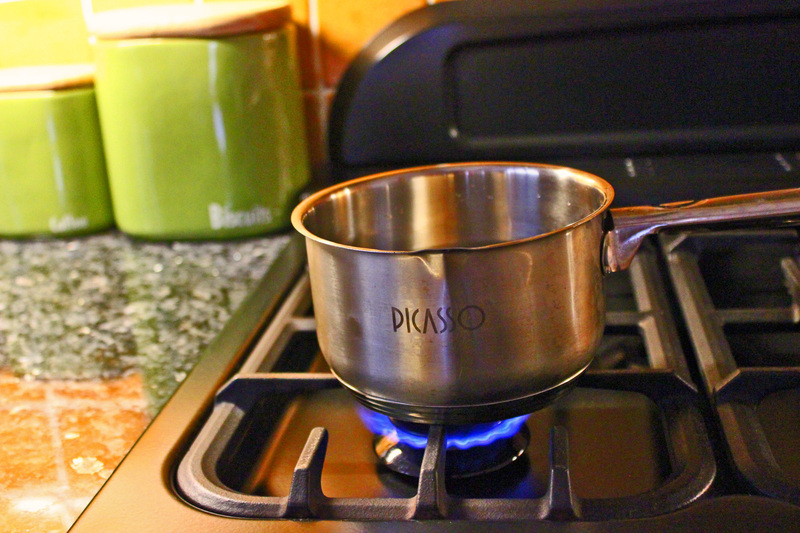 It does take longer to make this tea so I normally just put the kettle on before starting as you have to let the water boil first anyways. 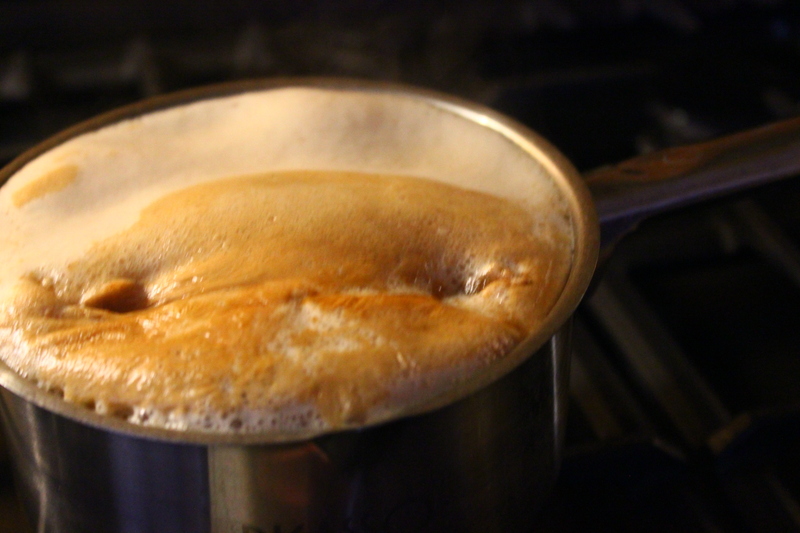 After that I just pour the water into the pan halfway. Not too much and not too less. The amount can be different depending on the pan as this one would be suitable for two people only. However it would be two large cups. 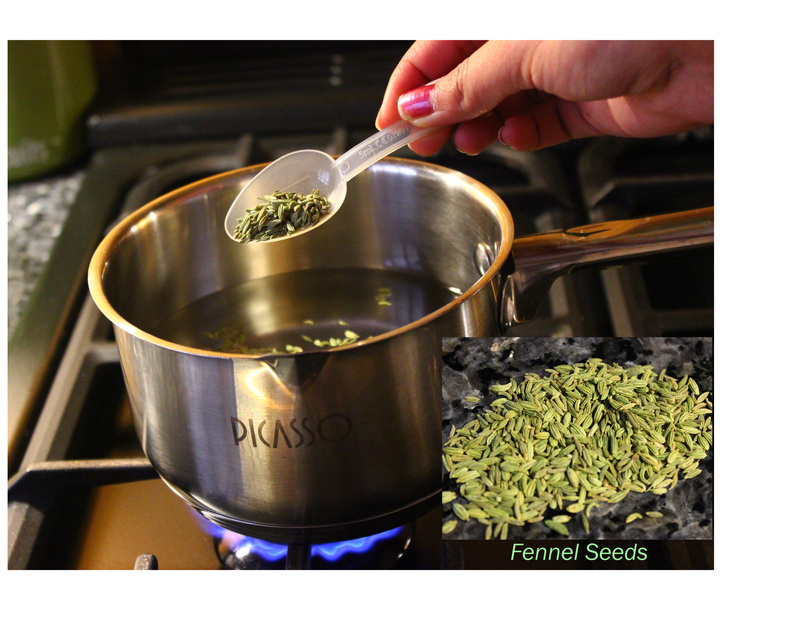 Then I would add about 2 teaspoons of fennel seeds. 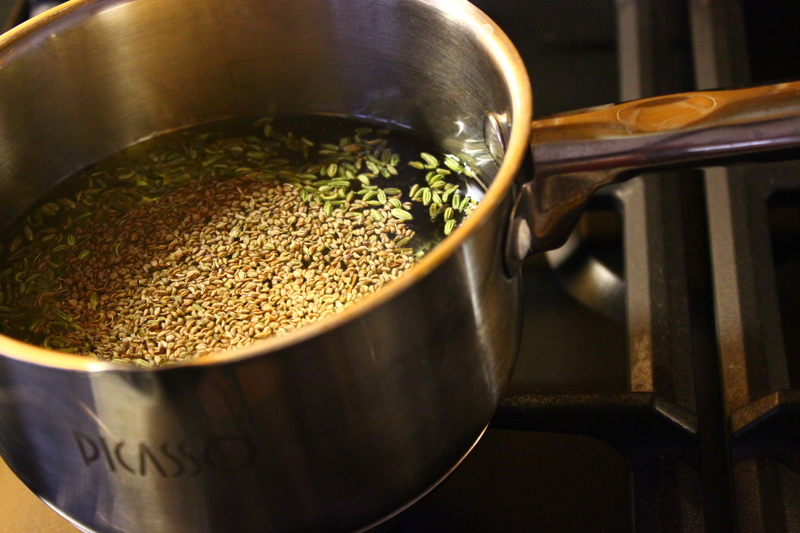 Then normally half the amount of fennel seeds you would add some carom seeds. 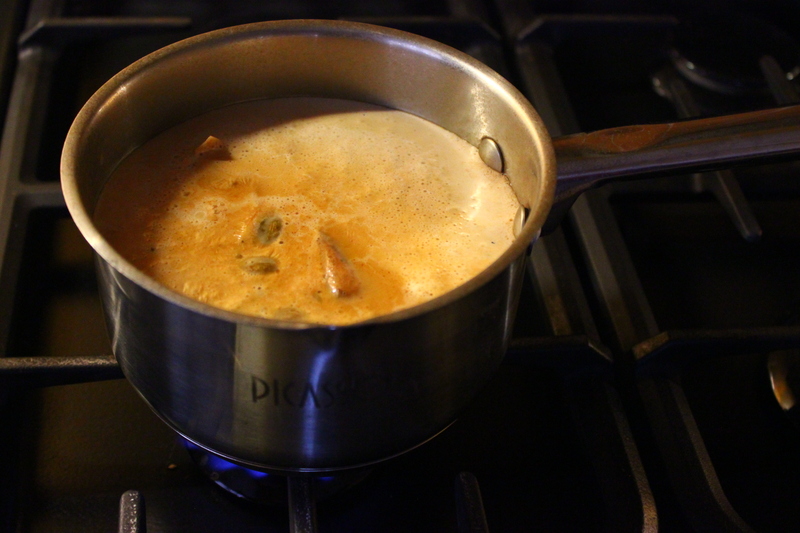 Then crunch and smash-up the cardamom and cloves. 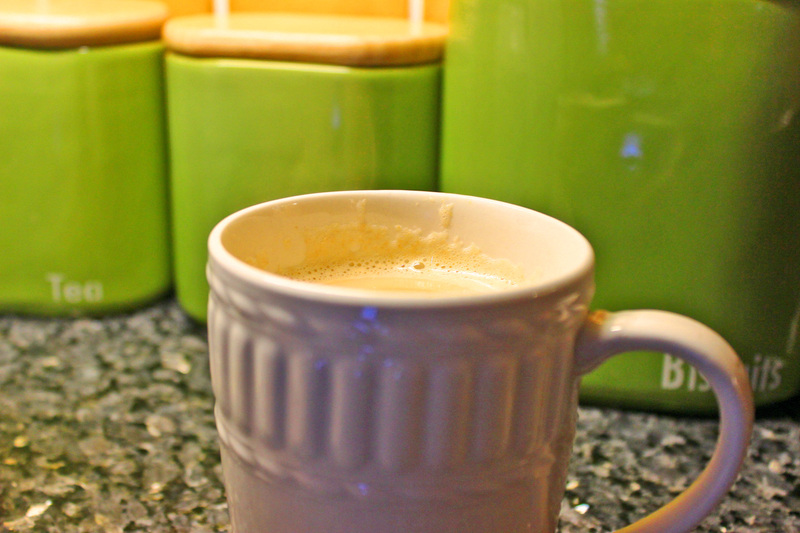 You need to have more cardamoms than cloves. It doesn’t matter how big the pan may be, I would not suggest to exceed with more than 5 cloves. 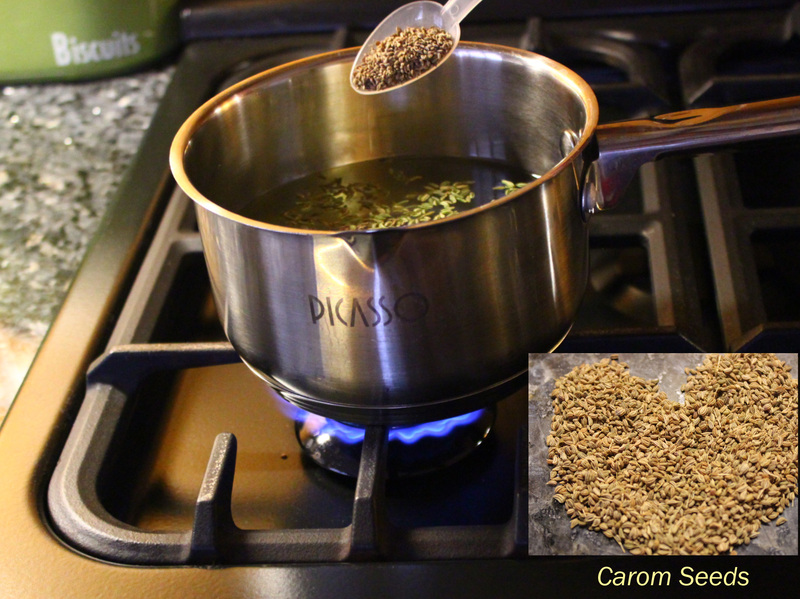 So for 2-3 people I am going to add about 3 cardamoms and 2 cloves. Then I smashed them up in this special thing which I don’t know what is called but my mum got from India. 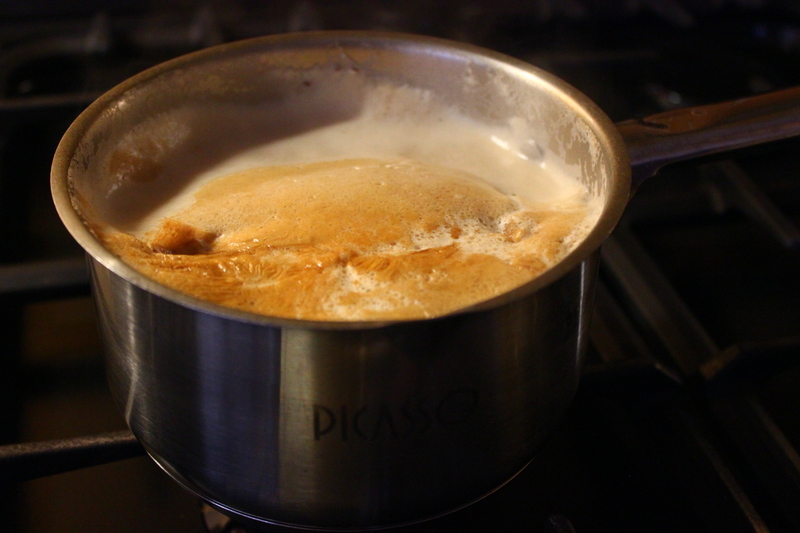 Then just let the water boil for a while. Untill it starts to become all bubbly. Then add the teabags to it. I normally add the same amount of tea bags proportional to the amount of people that will drink the tea so in this case 2-3 tea bags. 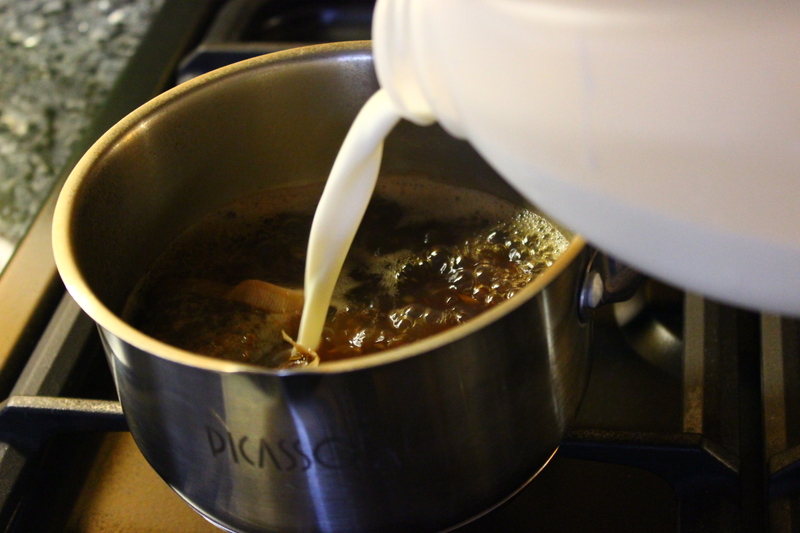 Then let the tea boil for a while untill the colour starts to go a bit darker. I normally let the tea boil for about 5-7 minutes but it depends on the colour and wether you like a stronger cup of tea. AFterwards fill the pan up to 3/4 with milk. Although you could add less milk in it if you don’t really like milky tea. However after you have added the milk in, you need to stand by the tea. 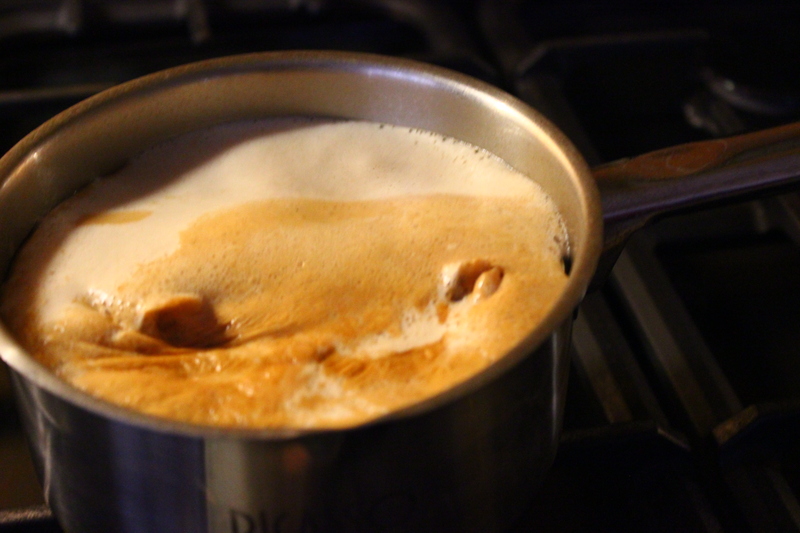 As the milk will start to rise up after a while and just when it is almost about to touch the top you need to lower the gas very quickly. 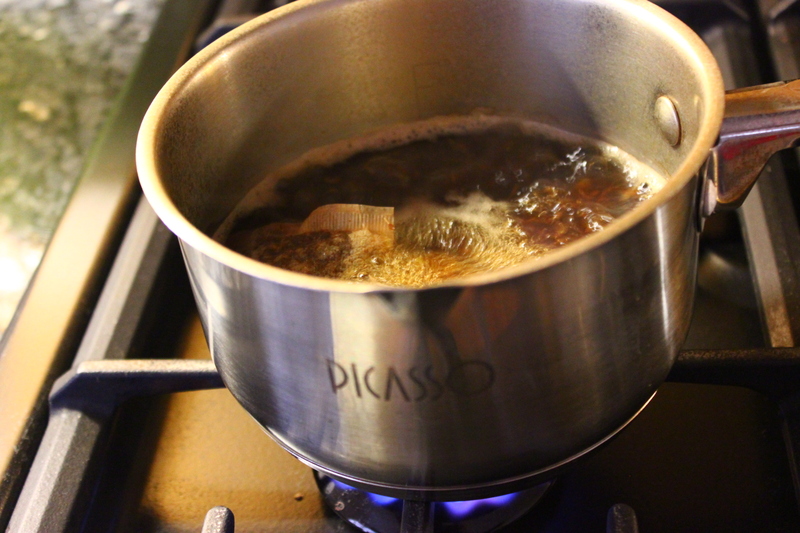 Then when you have lowered the gas it will start to look like this, which means that the tea is done. 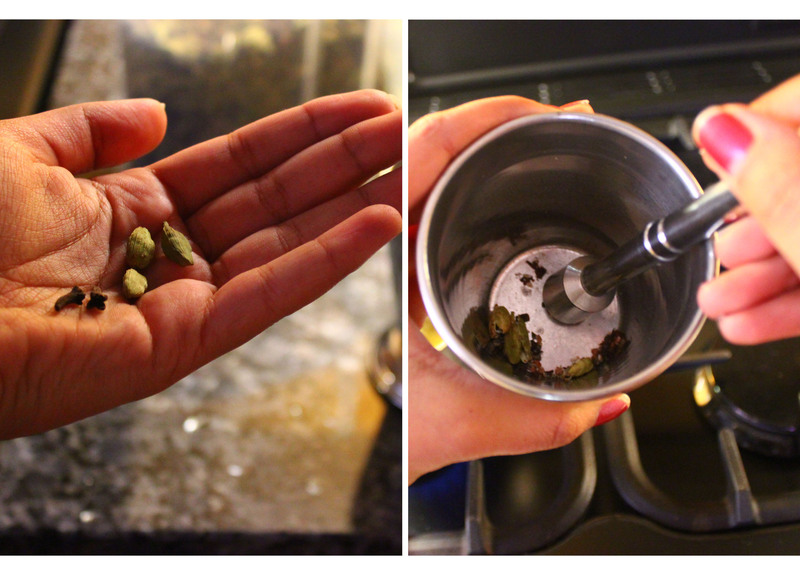 Using a mesh strainer then pour it into your favourite cup. 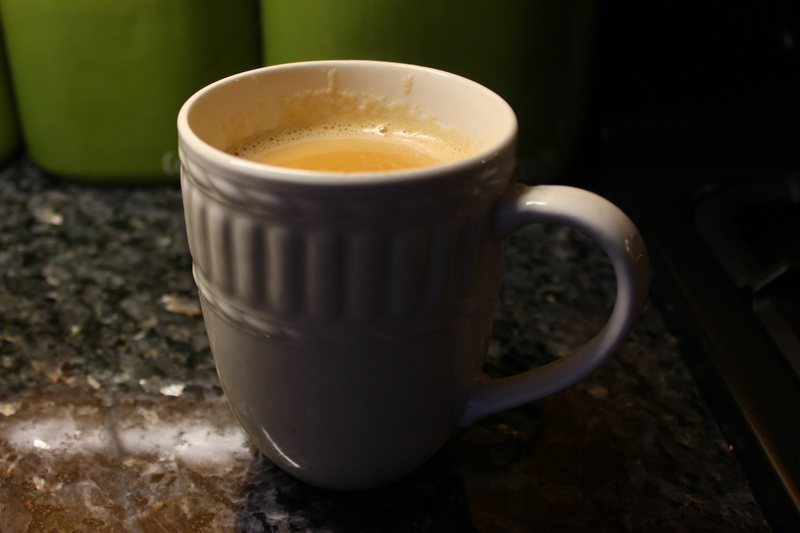 There you go an Indian cup of tea. I hope you enjoy it while I enjoy my cuppa right now.